This look is easy to do! 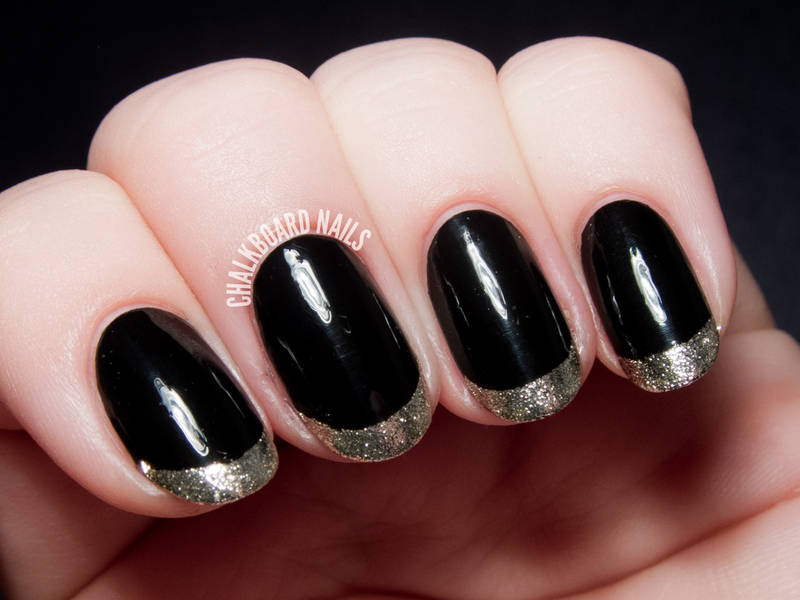 Start by painting your nails with black, and applying a coat of quick dry topcoat. Make sure your nails are completely dry before moving on! 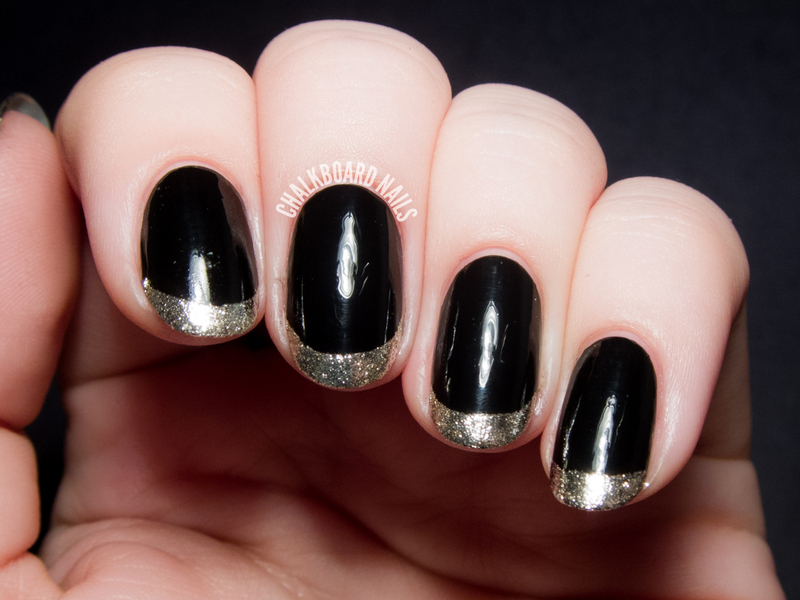 I used half moon vinyls for a more rounded French tip, but you could also use French tip guides if you prefer. Paint on a coat of your gold polish, and then remove the vinyls. Seal with glossy topcoat, let it set, and finish with matte topcoat. This also looked great before I added the matte topper. 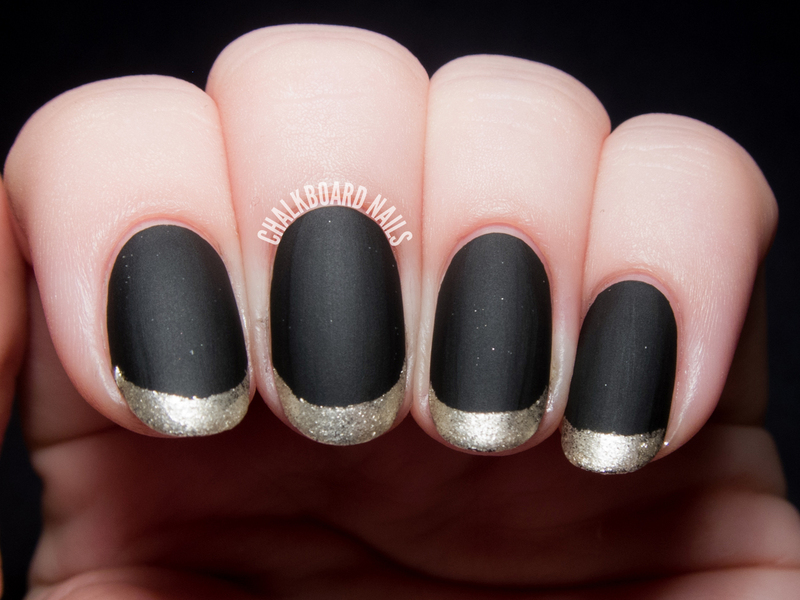 My choice of gold, Amazeballs, looks better glossy, but I think I prefer the black when it's matte. Which one do you prefer, overall? I love this, simple and stunning. With the added bonus of extra elegance! Thank you! Sometimes it's nice to keep things simple. Oh those are so pretty! Very elegant! How edgy but classic at the same time. Both matte or glossy looks are nice. Thank you! It's so hard to decide, isn't it? Very nice! I love it matte the most! I like the matte one! Maybe it would've worked to mattify only the black before adding the gold? Using tape/vinyls over a matte top coat could be a problem though, maybe if it had ages to dry or if you freehanded the tips that could work. It's a dilemma for sure! For now I think I prefer it matte overall, though maybe in the future I'll try fussing with it to get the best of both worlds. 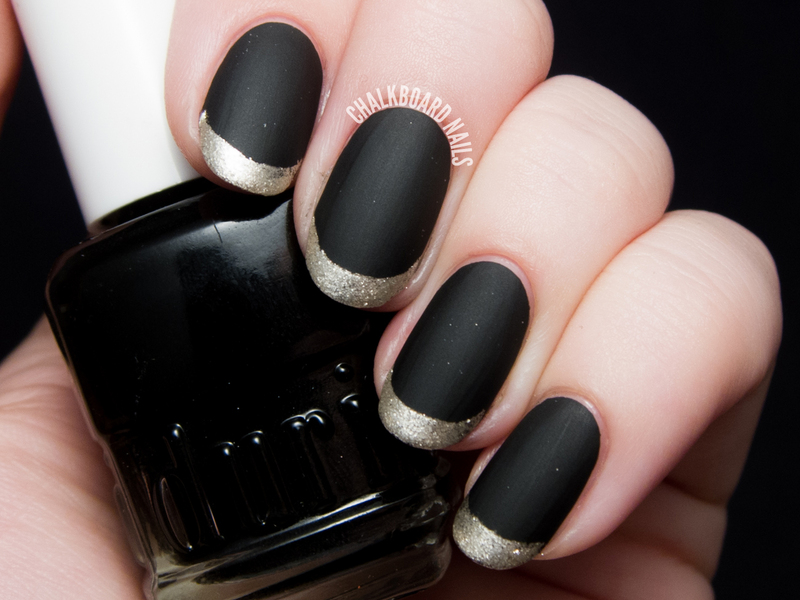 I LOVE the matte mani!! I personally like the base color matte with glossy tips. I have done it in the past with the same thick band for the tips by freehand, but with silver. 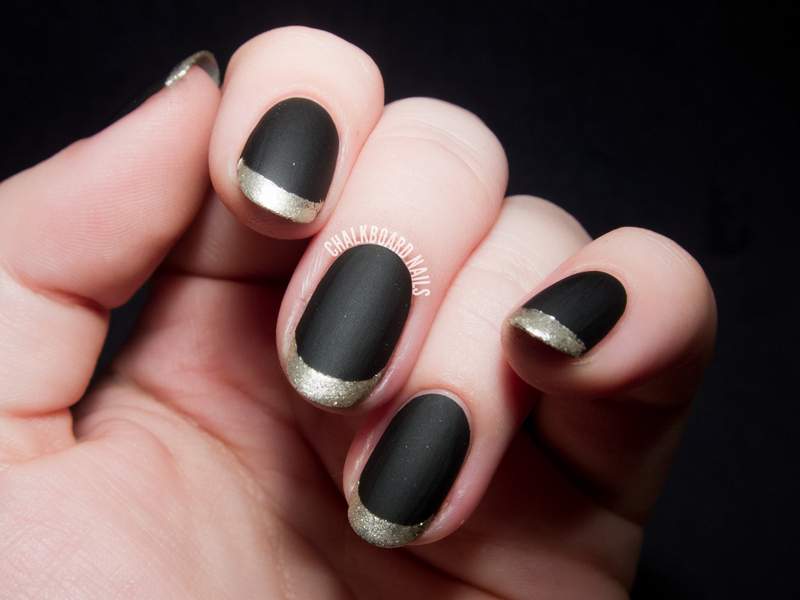 It's nice shiny but stunning matte ♥!